With the increased public awareness of potential health hazards associated with radio frequency (RF) emission, many are questioning whether these changes on roof tops are safe. Industry Canada and Health Canada regulate the maximum allowable exposure to RF emissions in Safety Code 6 (SC6.) As part of SC6, the last licensed RF operator making antenna changes is responsible to certify to enure that aggregate of all RF emissions from the site are safe. This includes the emissions from their antennas plus emissions from those of co-located third parties. On roof tops where multiple antenna arrays from multiple operators exist, the SC6 site certification is on-going activity especially given the number of changes to antenna systems to optimize RF coverage. SC6 is a set of specification developed by Health Canada to define limits for the safe exposure of humans to radio frequency emissions. The Code distinguishes safe limits for those trained individuals working on RF systems and those with no training, the ‘general public.’ Exposure limits set for the general public are five times lower than that for the RF worker. SC6 define anyone without adequate RF training as the general public. 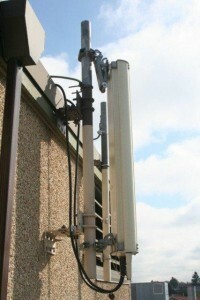 Exposure limits on roof tops where non-telecommunication workers such as HVAC and building maintenance people may work default to maximum sets for the general public. The degree of radiation hazard is defined by signs. 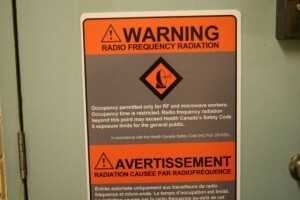 Health Canada requires three levels of warning signs: ‘notice’ where exposure levels are below limits set for the general public, ‘warning’ where exposures exceed limits for the general public but are less than limits set for RF workers; and ‘hazard’ where limits exceed exposures for RF workers. At the third level, strict safety procedures are implemented for everyone accessing the roof top. Industry Canada requires new operators meet SC6 as part of the initial site licensing process. Beyond this stage, all safety code 6 reporting is honor based. The roof top managers are ultimately responsible to ensure that the top is safe for all accessing it. Fall arrest procedures are common place. The same argument can be made for RF safety. Roof top management best practice recommend: (i) mandating RF tenants design installations to the general public limits; (ii) requiring their roof top be tested to C6; (iii) requiring tenants to produce an updated SC6 certificate every time the tenant applies to change antennas; and (iv) posting the current SC6 certificate at the entrance to each roof top (similar to fall arrest practices today). Safety risks should always be assessed by accredited professional engineers. The certificate itself should be stamped and date. Read more on RF Roof top Safety at www.planetworks.ca/articles/sc6. This entry was posted in Latest News, Safety & Regulations and tagged rf emmission, safety code 6, sc6. Bookmark the permalink.